Best 'price-for-spec' does not tell the 'real life' story. There is no Which? 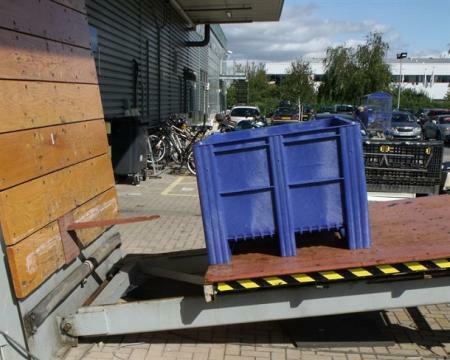 test for plastic pallet boxes but, says Dolav, "They need greater strengths than are called for in design specifications." 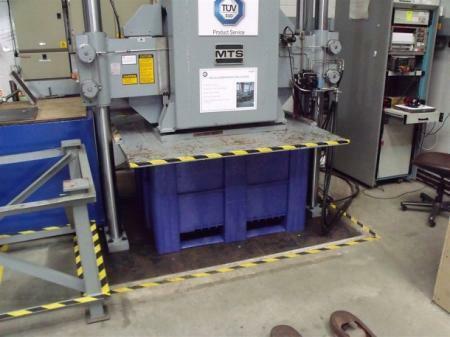 Dolav asked independent testing organisation, TÜV SÜD Product Service to test the Dolav Ace plastic pallet box and do exactly the same tests to three other competitive products to see how they compare. Dolav wanted maximum abuse. TÜV SÜD Product Service obliged with a set of repeatable standardised tests showing comparative performance. As Dolav suspected, the Ace out-performed all the competition tested. 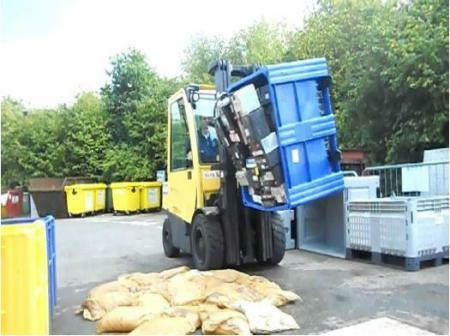 All the plastic boxes performed to their published specification but in the view of Dolav that is a long way from the real world of plastic pallet box abuse - especially in waste and recycling applications. For Dolav this proved objectively the Dolav Ace is 'Abuse Ready' to give customers long in-service life. 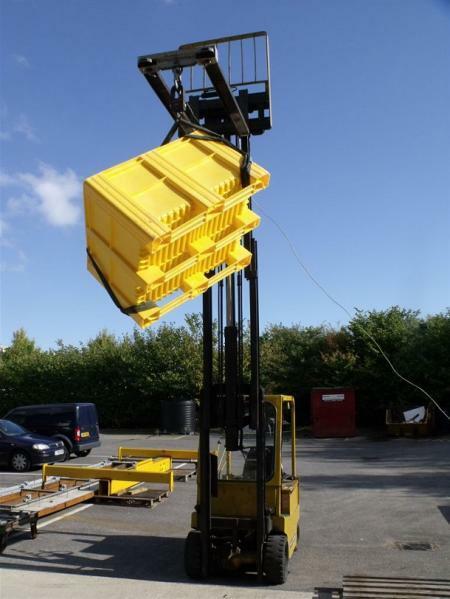 Fork lift rotation test with 900Kgs of used car batteries.